We are searching for authentic Manchester United fans to take part in a film series. The series, titled ‘What Is Success?’, explores the concept of success for people in and around Manchester United football club. We will film current players, MUFC legends and fans. The individuals will speak directly to camera and discuss various themes to do with success and MUFC football club. Ideally, they are Manchester United fans with authentic fan stories. 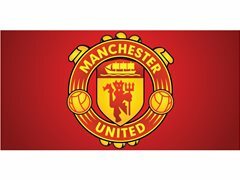 We are looking for fans who can talk about Manchester United...people with interesting memories, stories or even anecdotes from their older relatives.